At Microscopy-UK, I had always wanted a better search engine for our site and our articles in Micscape Magazine. The problem was that to have a fast and reliable search engine required running it on a VPS (a Virtual Private Server). A thing of technology I was unfamiliar with. Although I was used to shared hosting servers, cpanels, and a few programming languages - I felt setting up and running a VPS might be just a bit beyond my capability. Strange how desire and obsession has it's way: I can now say we have an excellent search engine running on a VPs and not only does it crawl and index our site but literally tons of other ones which I believe are worthy as they have something of value to add to the pursuit of hobby light microscopy. Anyway, not to bore you with my successes and tribulations in doing this, I wanted to say the task involved (and continues to keep me involved) meant looking at the various sites I discovered to consider their value to us. I really thought this would prove to be a tedious task, (and it is a bit repetitive) but there is joy too... like coming across sites and pages I never knew existed. I though I might share some of what I found with you. I found this one was a real gem for anyone interested in antique microscopes. 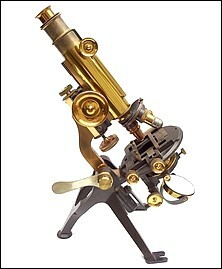 The site is: www.antique-microscopes.com authored and run by Allan Wissner in the USA. Allan is a collector of antique microscopes (not a dealer) and he has put some of these beautiful instruments on display at his web site, like the Baker-Nelson microscope below. One section details many early USA patients (far left) collected and redisplayed by the site owner. Quite wonderful to think these original sketches were made nearly 160 years ago. He also has a wonderful article on the Victorian, Anglo-Irish Lady, Mary Ward (1827-1869), who achieved fame for her sketches at the microscope book. 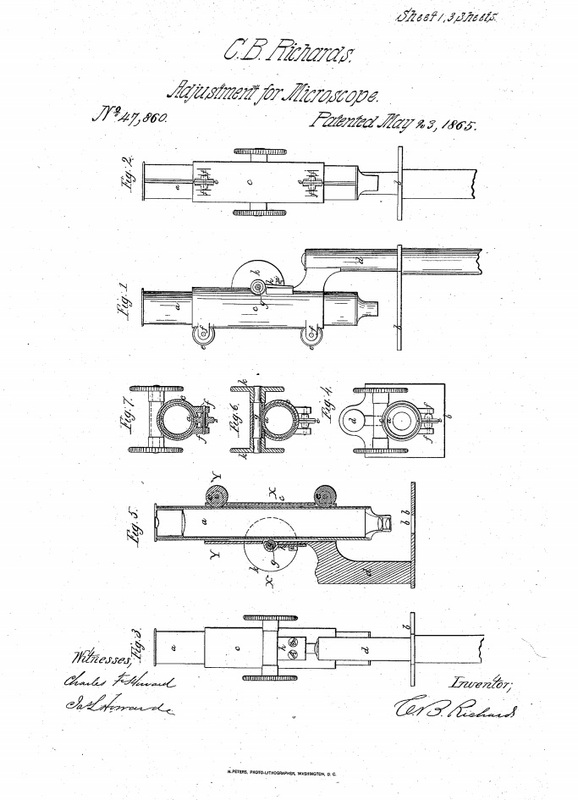 With an extensive list of other links to antique microscope collections, this site is a valuable and worthy resource. Hats off to Mr Allan Wissner. I just had to take a look. You need to download their software, and although there is a bug preventing you downloading more files, there is a work around. and then visit this page to see how to download and install other datasets manually. I tried it and was able to download other sets easily and install them. The Virtual Microscope is a NASA-funded project that provides simulated scientific instrumentation for students and researchers worldwide as part of NASA's Virtual Laboratory initiative. This site serves as home base for the Imaging Technology Group's contributions to that project—namely virtual microscopes and the multi-dimensional, high-resolution image datasets they view. Currently they provide 90 samples totaling over 62 gigapixels of image data. 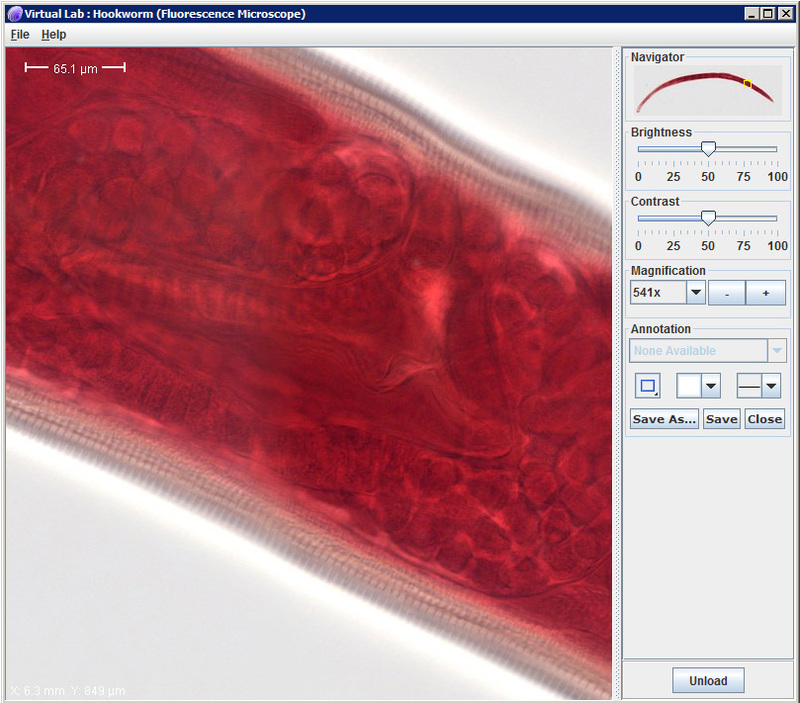 The Virtual Microscope, which is available for free download supports functionality from electron, light, and scanning probe microscopes, datasets for these instruments, training materials to learn more about microscopy, and other related tools. The project is open source and the code is available on Sourceforge. Having played with it, I found the virtual instrument both novel and curious to use. Give it a go and see how you get on. If there is one thing which gives me a buzz, it's finding someone who since the age of 12 caught the bug of microscopy and forever grows from it. Leonardo Balbi in Brazil is one such guy. Brazil is not the easiest place to try and start an amateur microscopy club or group. But that hasn't put Leonardo off from sharing his work on his web site and sending in articles to Micscape Magazine and Microcobehunter magazine. His web site is in Portuguese but with google translate installed, it's easy to read his pages and see his passion. Did I include it in our new global microscopy Search engine? You bet! These are the type of sites I want to collect together. We are swamped on the net now with large corporate sites and when we stated here at Micscape, it wasn't like that. Well done Leonardo! Any reader with a personal page on their microscopy activities should jump to our contact form and let us know so we can slot it in our microscopy search engine. Take a look at his site and send him an email of support here. Receives articles from the public. 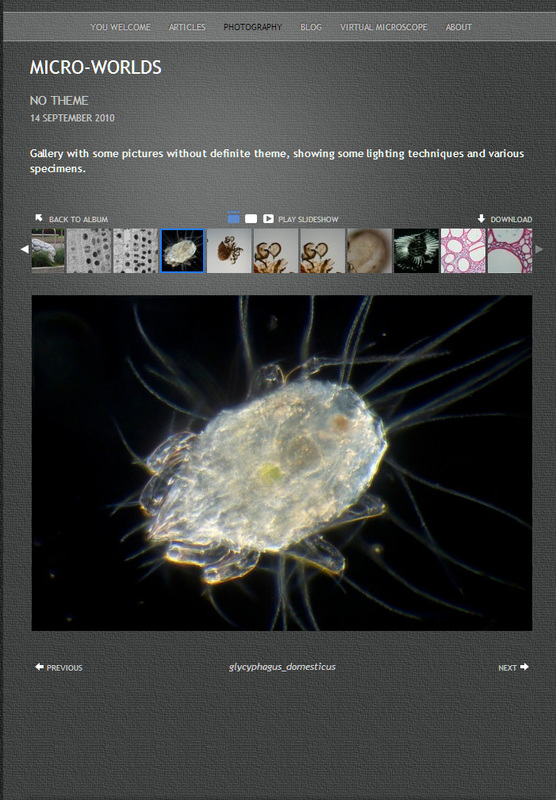 A great online Microscopy Magazine! 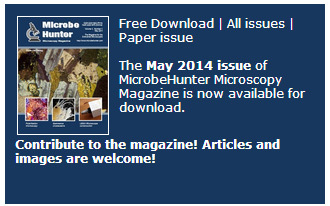 As David Walker and I would tell you, running a site and resources for microscopy magazines is a tough one. Two of us here at microsopy-uk look after the presentation and running of our Micscape Magazine, but Oliver Kim does it all on his own. And what a superb job he's doing and what an achievement. Anyone can post articles into an online forum where they can be checked, authorised and made ready. A huge user base and a magazine to rival our own. Well done Oliver! So I was looking around the web for good sites to index in our engine where the subject matter of what you put under a microscope was my theme: ants, wasps, bacteria, aphids, flies etc., I typed in 'A' for ant (you have to start somewhere) and came across a Daily Mail News article which showed ants standing on one leg like ballet dancers. Closer investigation led me to the person taking these magnificent macro photos: Irina Kozorog of Russia. I thought the images were not only good but contained an extra something... heart, soul, love... something of the photographer too! As a photographer and film maker, I recognise this quality - the idea that when you create something you love, some of you goes into the thing created too. Relationships are very important in nature. Animals, plants, fungi, and microscopic organisms (such as bacteria and protozoa) all depend on each other to live. Humans fit into this too! These relationships, along with the way we get sunlight and water, make up our local ecology. There are different kinds of relationships. Predation is when one animal eats another. One species benefits by getting food. The other species is killed. Competition is when two organisms are trying to get the same resources, whether it's food, water, or sunlight. Neither species benefits from this relationship, because each organism is taking resources from the other. I like the way they have arranged their subject matter, such that it clearly demonstrates relationships between different life forms. Their organism menu is a great resource not only for microscopists identifying species but for botanists as well. If you would like to join BWARS, membership is set at £20 per annum, which, as a new member, entitles you to the Members Handbook. More details are here. BWARS is a subscription based volunteer recording society, operating under the aegis of the UK Biological Records Centre (BRC). The Society is affiliated to the British Entomological and Natural History Society (BENHS). 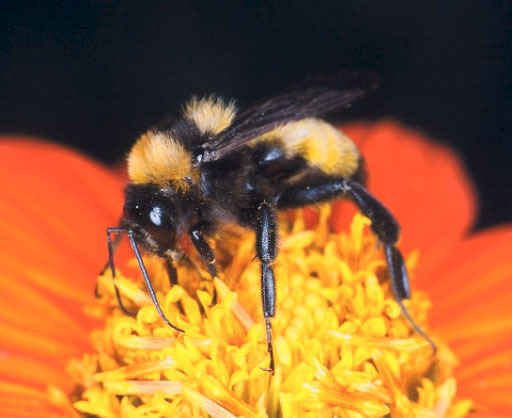 The Society aims to promote the recording of aculeate Hymenoptera in Great Britain and Ireland, and to foster links with similar societies and interested individuals throughout Europe. The Society publishes 2 newsletters a year, and (in association with the Centre for Ecology and Hydrology) a part of the Provisional Atlas of the Aculeate Hymenoptera of Britain and Ireland every 2 years (in which some 60 species are mapped at the resolution of 10x10km). Well that's it for now. If I discover some great sites whilst working each month or getting the best microscopy sites on the internet indexed into our search engine, I'll tip you off in our magazine. If you discover an interesting site which you think is great for supporting microscopists including sites about the things we study in nature, let me know here, and I'll check it out. Published in the September 2014 edition of Micscape.